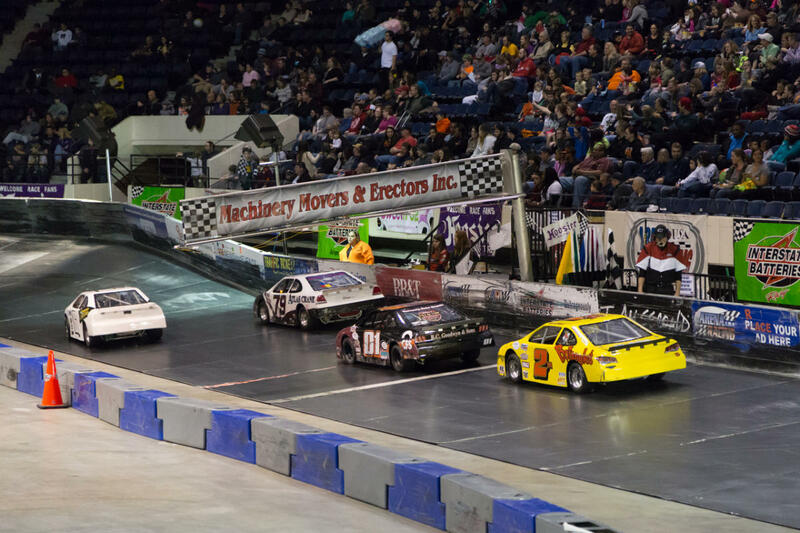 Arena Racing is exciting, family-friendly entertainment that features half-scale stock cars racing around a half-million dollar high-banked race track inside the Richmond Coliseum. 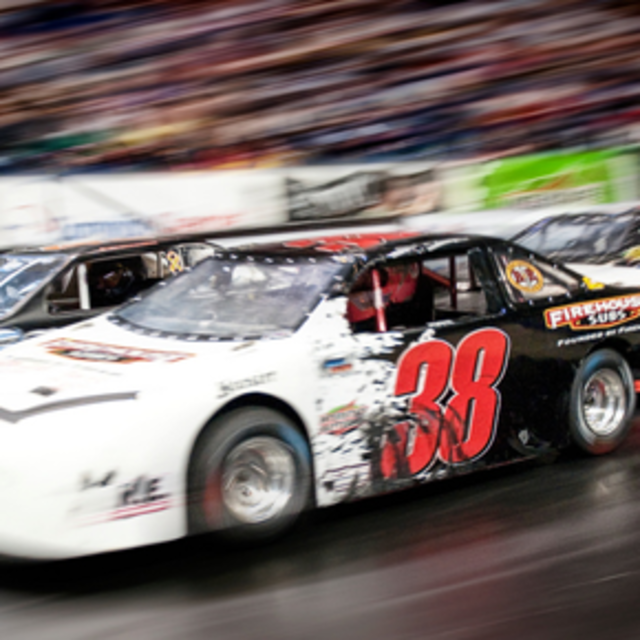 The cars circle the hockey rink sized track at speeds nearing 50 mph in less than 8 seconds! 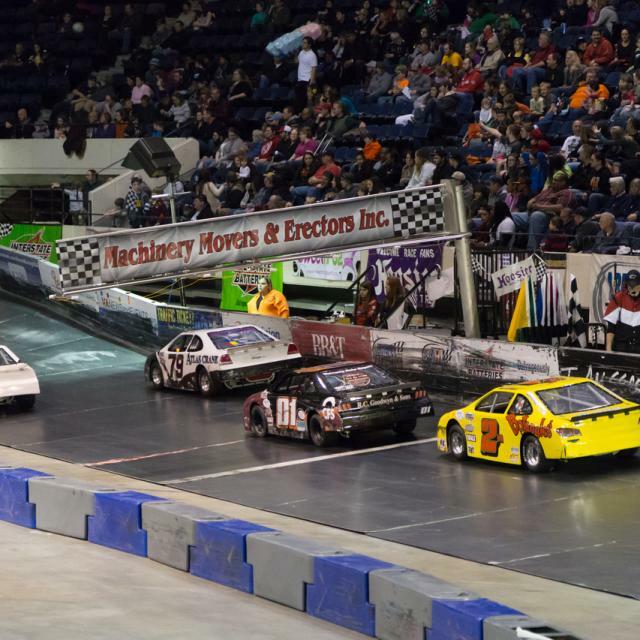 The racers run 2 and 3 abreast around the indoor track with all of the bumping, crashing, and even flipping normally associated with stock car races. In between the racing action, there is great music, spectator contests, and T-shirt cannons!